Philosophy for busy people. Read a succinct account of the philosophy of Leibniz in just one hour. Leibniz was the first great German philosopher to produce an all-embracing philosophical system. He came to the remarkable conclusion that space and time do not exist - they are mere superstitious assumptions. Only things exist and only God is able to see things as they truly are - from a perspectiveless viewpoint. Yet the infinite of ultimate objects that make up the world ('monads') are not material: they are metaphysical and thus not subject to the laws of cause and effect. Their apparent interaction is the result of a 'pre-established' harmony that is part of God's creation. Here is a concise, expert account of Leibniz's life and philosophical ideas that is entertainingly written and easy to understand. 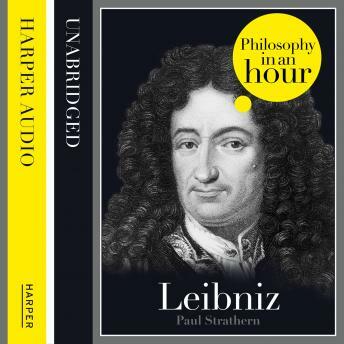 Also included are selections from Leibniz's work, suggested further reading, and chronologies that place Leibniz in the context of the broader scheme of philosophy.